List of Hotels in Pasadena California. This list all about in and around Pasadena hotel address, phone number, reservation information and more. 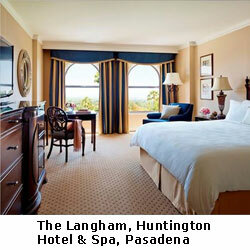 Located in Pasadena, CA – a 5-star luxury Pasadena hotel, located by San Gabriel Mountains near downtown Los Angeles. Features world-class dining, spa, fitness, tennis & nearby golf. A 4-star hotel located in the heart of one of California’s most exciting cities, Pasadena, CA. The hotel offers an outdoor heated pool, casual on-site restaurant, a 24-hour business center and more.